The Western Integrated Science (WISc) program is a first entry, four-year program administered by the Faculty of Science. It is designed to provide select students with the diverse science education necessary to address the interdisciplinarity of today's major scientific challenges (e.g., climate change, world hunger, alternative energy). WISC combines unique Integrated Science courses with traditional discipline-specific courses. In Year 2, WISC students will enroll in an Integrated Science Honors Specialization module administered jointly by the Faculty of Science and individual Science departments. Admission into WISc is competitive, limited and open only to students who apply to Western through the ES stream of the Ontario Universities' Application Centre. In addition to the Grade 12 requirements, a personal statement is required and will be used as part of the adjudication for admission. 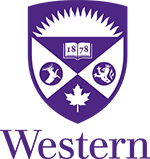 See the Western Faculty of Science website (http://www.uwo.ca/sci/undergrad/future_students/index.html) for details about the admission selection process. 1.0 course: Chemistry 1301A/B, Physics 1301A/B or Physics 1501A/B. Students must complete Mathematics 1600A/B with a minimum mark of 55% by the end of Term 1 in Year 2. 2.5 courses: Integrated Science 2001F*, Integrated Science 2002B*, Integrated Science 3001F/G**, Integrated Science 3002A/B**, Integrated Science 4001A/B***. 0.5 course from*: Philosophy 2320F/G (preferred), Philosophy 2033A/B, Philosophy 2035F/G, Philosophy 2078F/G, Philosophy 2370F/G. 1.5 course: Integrated Science 4999E***. 1.0 course: Calculus 2502A/B (preferred) or Calculus 2302A/B, Calculus 2503A/B (preferred) or Calculus 2303A/B. 0.5 course: Applied Mathematics 2402A. 2.0 courses: Physics 2101A/B, Physics 2102A/B, Physics 2110A/B, Physics 2910F/G. 1.0 course from: Astronomy 2201A/B, Astronomy 2801A/B, Physics 2810A/B, the former Physics 2600A/B. 0.5 course from: Physics 3900F/G/Z, Physics 3926F/G. 1.0 course from: Physics 3151A/B, Physics 3200A/B, Physics 3300A/B, Physics 3400A/B. 2.0 additional courses from: Applied Mathematics 3815A/B, any Physics or Astronomy course not yet taken numbered 3000 or above. Students must also complete Physics 2950Y, Physics 3950Y (non-credit seminar courses). First year requirements must be completed with no mark less than 60% in any principal course and an overall average in principal courses of 70%. See particular Integrated Science module for what constitutes principal courses. For progression into 4th year of the program, students must maintain an overall average of 70% with no mark less than 60% in any course required in the module. Students who do not meet the progression requirements, or chose not to continue in the program, may be able to continue their studies in a traditional module. Students should consult an academic counsellor in the Department that administers their chosen module.